The aim of this article is to walk the reader through the implementation of the Black-Scholes model for option pricing in VBA. Firstly, we’ll recap the theoretical framework. Secondly, we’ll provide the code to put the theory into practice and show some basic (but hopefully relevant) applications. where is a Standard Brownian Motion with respect to the historical measure P.
where V is the value of the derivative (e.g. 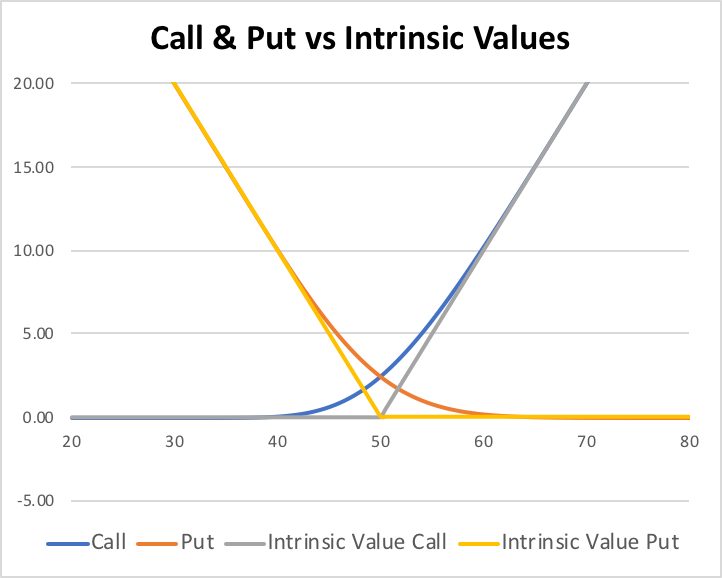 a call option) at given time and for a given price of the underlying. In this section we introduce the concept of Greeks as sensitivities and provide the formulae for the basic ones given the Black-Scholes formula just derived. Delta (Δ) is the first derivative of the option value V with respect to the spot price S, i.e. Theta (Θ) is the first derivative of the option value V with respect to time t , i.e. These four are usually the most important Greeks when it comes to risk management. However, we mention that in real life some contract may warrant the analysis of higher order Greeks as well. In this section we walk the reader through the implementation of the Black-Scholes model for option pricing in VBA. First of all, we recommend writing “Option Explicit” at the top of each new Function or Subroutine, so that VBA requires that you always declare a variable before using it. Example of an application: Plotting options prices as a function of spot (see chart below). 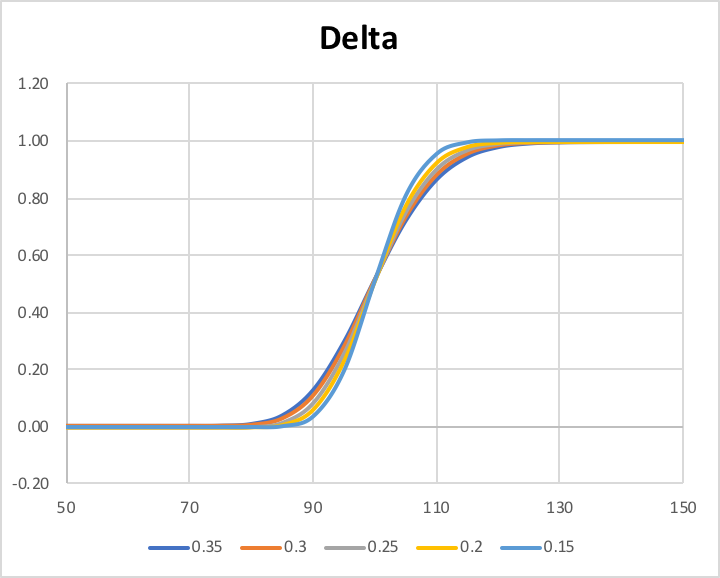 Example of an application: Plotting Delta as a function of spot and time (see chart below). 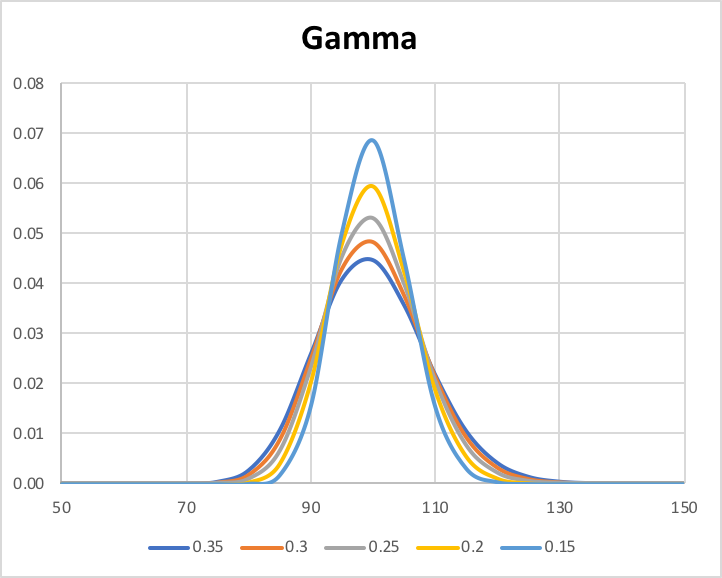 Example of an application: Plotting Gamma as a function of spot and time (see chart below). 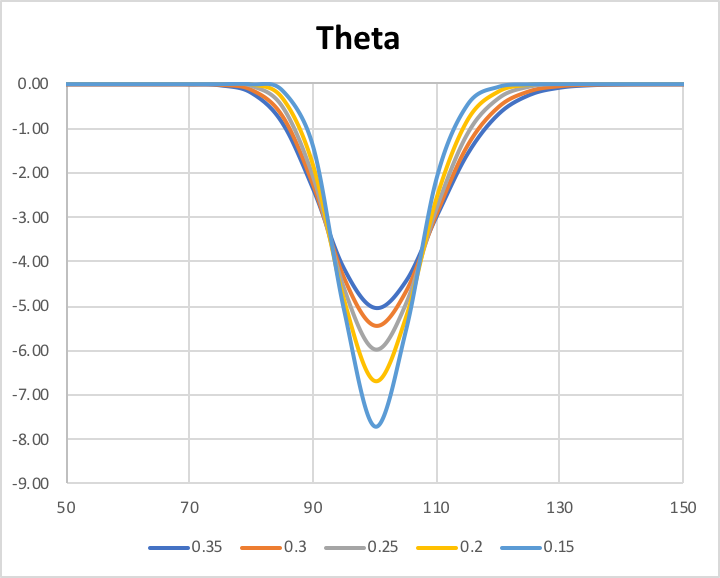 Example of an application: Plotting Theta as a function of spot and time (see chart below). 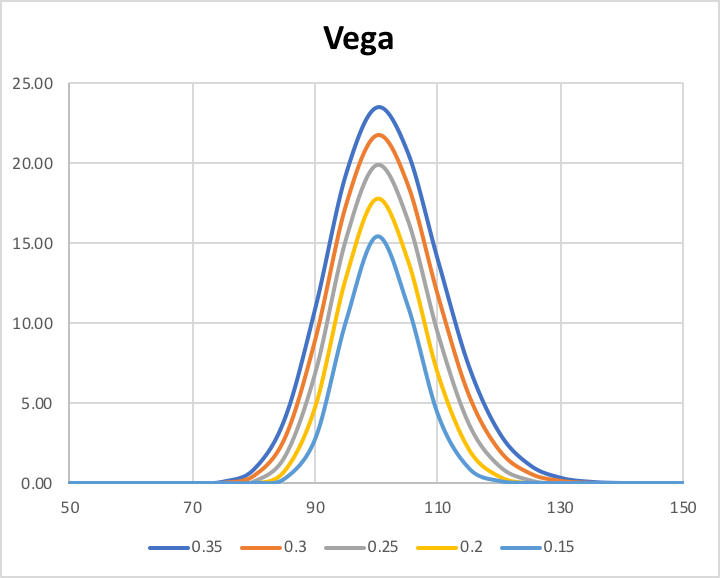 Example of an application: Plotting Vega as a function of spot and time (see chart below).